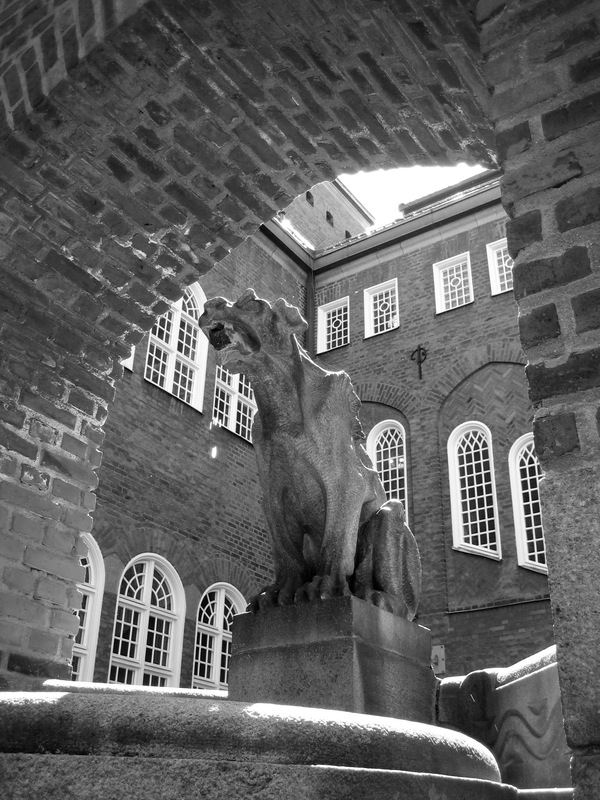 Last June I blogged about a trip to University of Borås in Sweden to serve as the opponent at a doctoral defence. This week I made a return visit to the University. On this occasion I was an external member of a panel charged with auditing the University’s doctoral education programme in Library and Information Science. My week started when I joined a pre-meeting of the audit panel by Skype from Edinburgh at 08:30 on Monday. Two hours later I left the meeting to catch the direct flight from Edinburgh to Gothenburg, and by mid-afternoon I had checked into my hotel. On Monday evening I met the other external panel member, Dr David Allen (Professor of Information Management at the University of Leeds Business School) and the University’s Deputy Vice Chancellor for Research Dr Jenny Johannisson. On Tuesday we conducted the audit. The role of our panel was to evaluate the programme under review and identify its strengths and weaknesses. In order to do this we spent most of Tuesday in a board room interviewing small groups. We spoke to the faculty management, the members of the Research Education Committee, PhD supervisors, and doctoral students themselves. The discussions followed a schedule drawn up after our pre-meeting on Monday. Afterwards we gave immediate feedback on the audit in the form of a verbal report to the faculty management. The formal output from the review will be used for strategic decision-making for the programme, and help the University to prepare for future external evaluations. My next task is to write a report that will feed into this formal process. 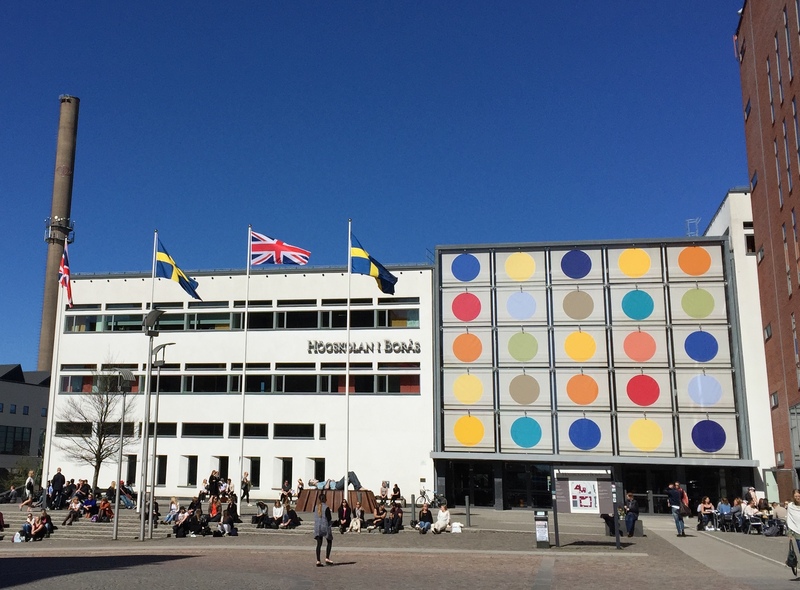 Something that I will be drawing attention to in my write-up will be the supportive educational environment and excellent physical space for PhD students at the University: many of the facilities that the students enjoy at Borås are better than those offered to academic staff in some UK universities. I will also consider a question that we visited on many occasions on the day of the audit: how should academics provide metrics for, and communicate, their excellence? This is an aspect of academic practice that appears to be more advanced in the UK than in the Nordic countries, and there are lessons (both positive and negative) that could be taken from the UK experience. I have to say that both David and I were very warmly welcomed at the University of Borås. We were both astonished when our hosts pointed out to us that the Union Flags flying outside the main University building had been hoisted in our honour. It felt like we had been promoted to royalty! This impression was further confirmed when I realised on my return to Edinburgh on Wednesday evening that I hadn’t spent any money the entire time that I was in Sweden. This entry was posted in Events, PhDs, Reviewing and tagged audit, David Allen, doctorate, information science, Jenny Johnnisson, PhD, review, Sweden, University of Borås, University of Leeds Business School by Hazel Hall. Bookmark the permalink.